The RockBoard Z-Connector is a super-compact pedal connector. 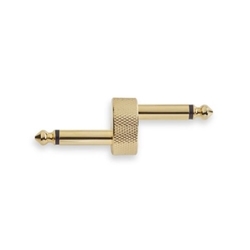 Only 10 millimeters (7/16") long, it makes your pedals come even closer together and the shortest possible cable path is connecting them. The Z-Connector couplespedals with side-mounted jacks and helps keep your setup tidy and neat looking.